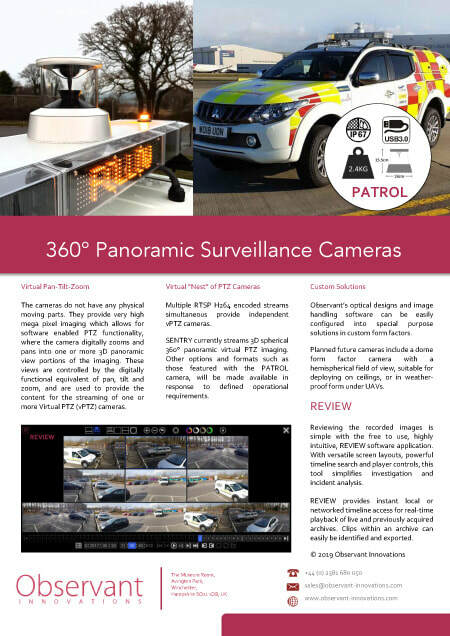 Patrol is a vehicle mounted 360° panoramic camera: "Body Worn Video" for a vehicle. 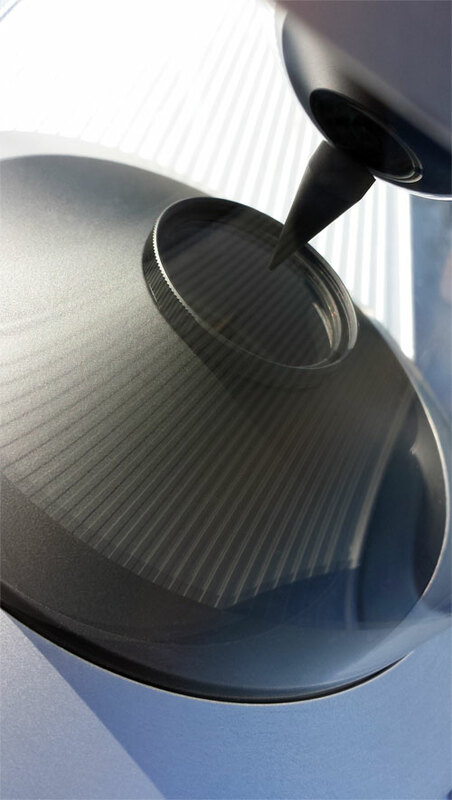 ​It continuously captures imagery from all around a vehicle, without mechanical pan and tilt, and is always looking in the "right" direction. 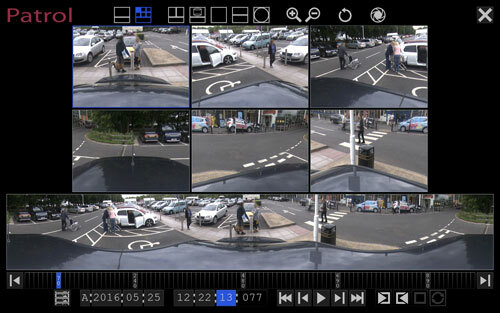 The Patrol system can archive images locally in the vehicle along with associated data such as time & GPS location, and stream H264 over an IP network using ONVIF protocols. 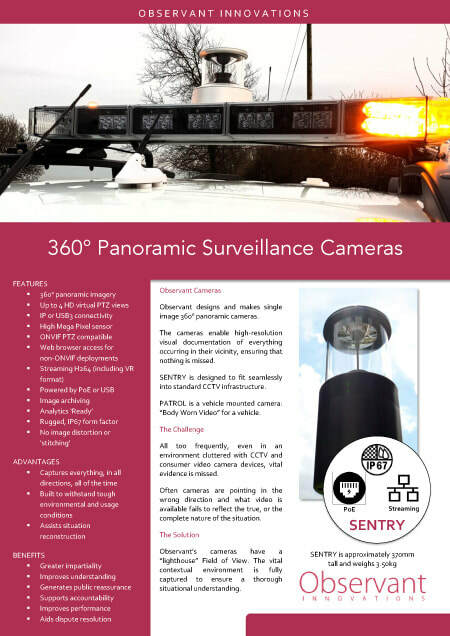 Sentry is a 360° panoramic IP video camera designed to fit seamlessly into standard CCTV infrastructure. It has edge-of-the-network characteristics, and has been designed for use in static and fixed deployment roles. It is equally well suited to fixed or rapid deployment. The camera has a built in mounting that will fit industry standards and is quick and easy to install and manage. 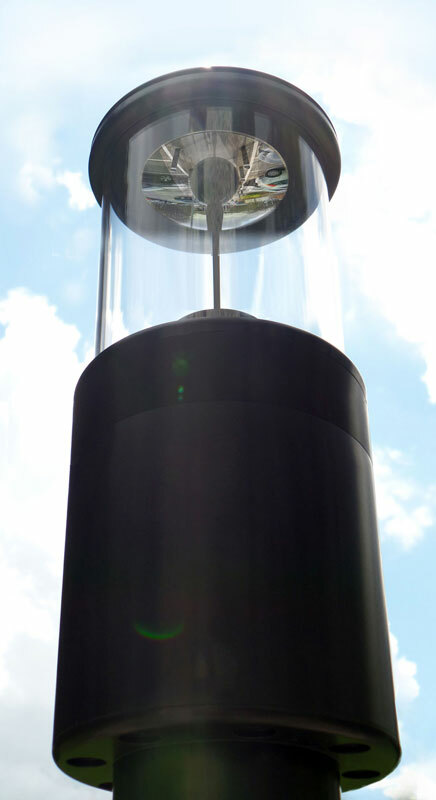 We offer a suite of software applications to complement and match the unique 360° camera technologies. Our 360° Panoramic Review application is used to browse and playback images previously recorded in to a PATROL image archive. Click on the screen shot link image to find out more.